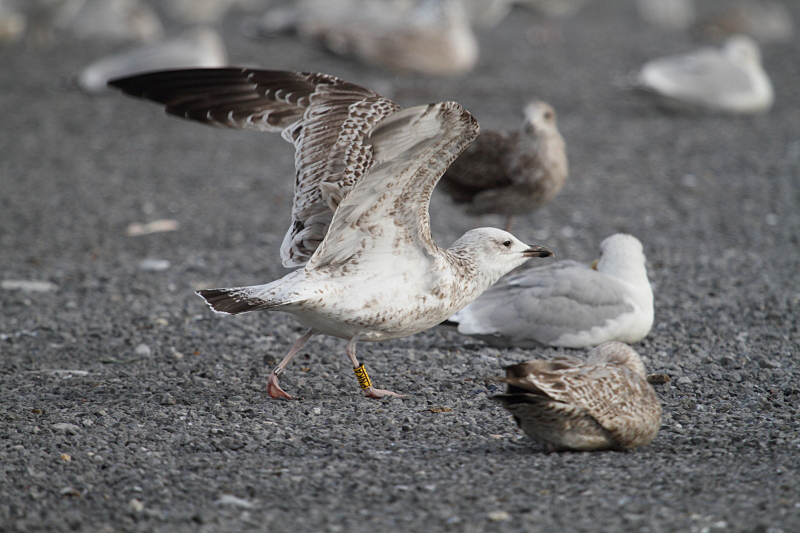 Larus cachinnans 2CY PNKA September-October 2014, France-Belgium. Picture: Laurent Houssier & Peter Adriaens. 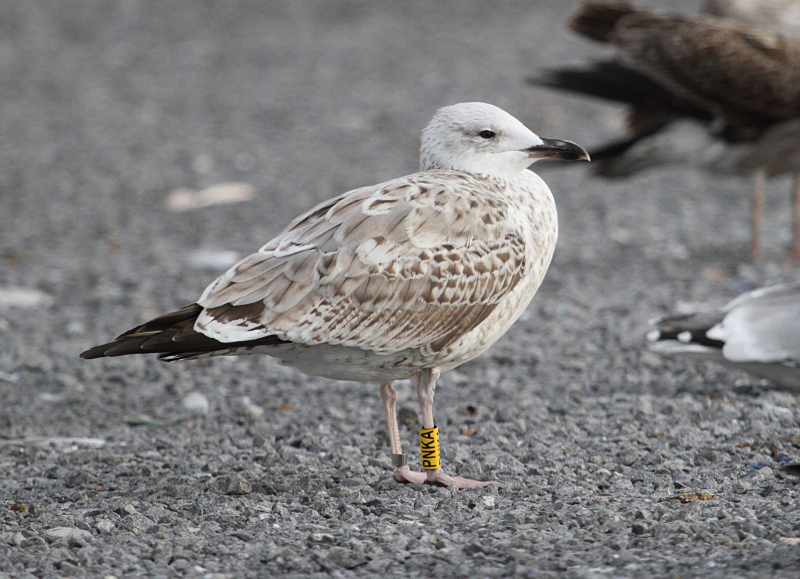 Bird ringed yellow PNKA, ringed as pullus on May 24 2013 at Kozielno, Paczkow, S-SW Poland, (50°28' N, 16°58' E). 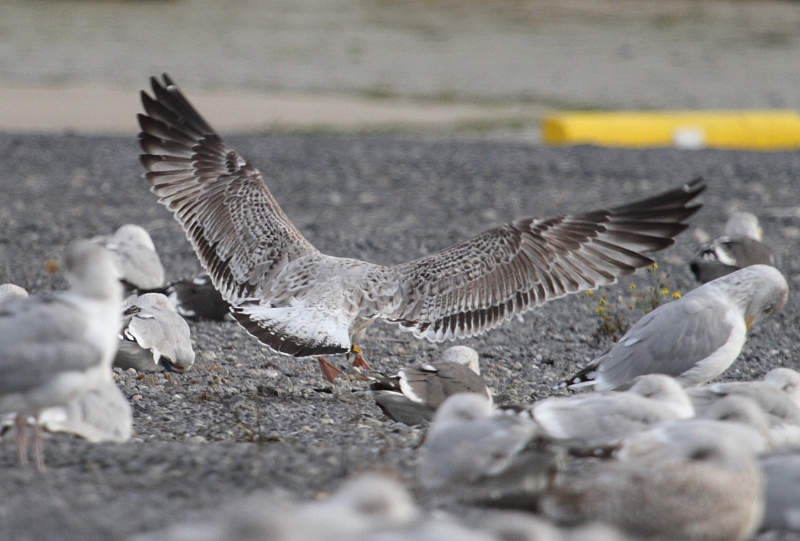 Larus cachinnans 2CY PNKA October 17 2014, Oostende, Belgium. Picture: Peter Adriaens. Partial moult almost finished. Still growing TT3. 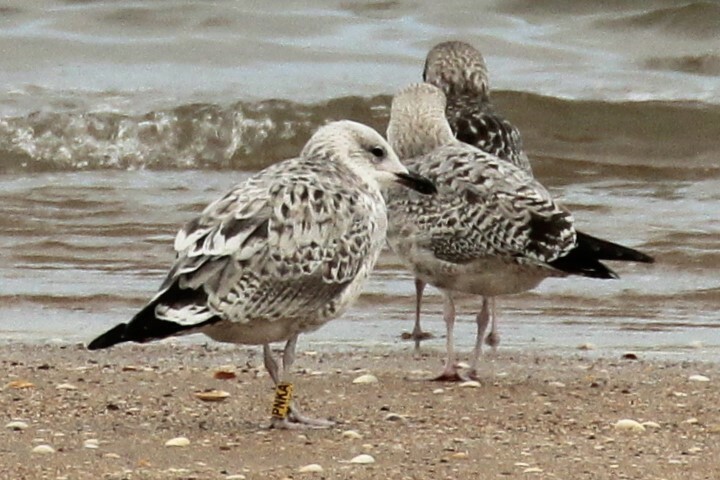 Larus cachinnans 2CY PNKA September 19 2014, Houlgate - Calvados, France. Picture: Laurent Houssier. By September the partial moult is started, with growing fresh central median coverts.